“We were forecasting close to record demand, but we actually saw demand on the system a couple thousand megawatts lower than we forecast this morning, and we are thinking it’s probably due to a lot of school closures, late school openings and business closures in the Midwest,” said Michael Bryson, vice president of operations for PJM, which runs the region’s electric grid. Demand within PJM’s 13-state service territory, which includes Pennsylvania, during the week’s cold snap peaked Thursday morning at 139,000 megawatts, a bit shy of the record-high 143,000 megawatts in February 2015. Power usage goes up as electric heating systems operate more frequently to keep homes and businesses warm, and even natural gas systems require some electricity to operate. 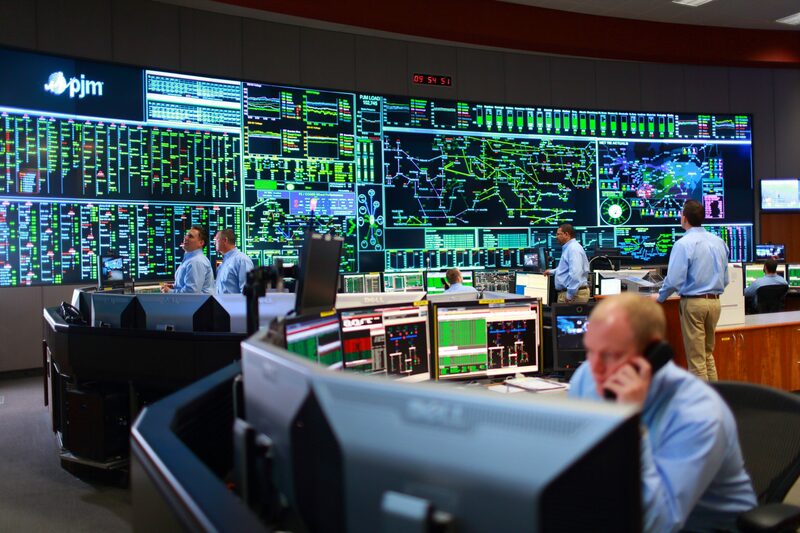 As the grid operator, PJM’s role is to make sure power supply from generators like gas, nuclear and coal plants, as well as wind and solar farms, matches demand. Bryson said PJM was better prepared for this week’s cold weather than in the past. The polar vortex of 2014 stressed PJM’s grid, causing 22 percent of power generators to shut down because of problems at the facilities. Thursday morning, just 9 percent of those facilities were down, which Bryson said is just slightly higher than normal. In some cases during the cold weather of 2014, a sensitive piece of equipment was left exposed to the elements. As a result, PJM now requires the staff at generators to complete a winter checklist beginning in the fall, which includes a walkaround inspection to make sure equipment is properly protected from winter weather. PJM also sent out an alert to generators ahead of the cold temperatures this week. Power facilities might need to bring in extra staff or rush to finish up maintenance so they are ready to run. PJM also now offers market incentives for generators that run on cold days and penalties for those that fail to perform. Bryson said PJM did not end up asking too many of its “peaker” natural gas and oil plants to turn on this week because the rest of its mix of gas, coal, nuclear and renewables managed to meet demand. Peaker plants are often expensive to run and only fire up during peak times. The mid-Atlantic and Midwest is expected to warm up in the coming days, so Bryson said some of the generators called upon during this cold spell will go offline for maintenance so they are ready to run again during the next bout of winter weather. Frigid temperatures also put stress on the natural gas industry at a time when gas production in the Marcellus and Utica shale plays would otherwise increase to meet winter demand, especially as new pipelines allow more gas to get to market, said Matthew Piatek, director of North American natural gas markets for IHS Markit. Production tends to drop when the air turns bitterly cold, likely amounting to 4 to 5 percent amid this week’s cold spell, he said. He said it doesn’t take long for production to ramp back up when the temperature warms, as long as there’s not another cold snap around the corner. Wholesale natural gas prices, which reflect the value of gas once it’s extracted but before it gets distributed to consumers, have increased as demand has gone up this week. But Pennsylvania is more insulated from price swings than some parts of the nation. “In the case of the Pittsburgh area around the Marcellus and Utica shales, because the region is a net exporter of gas, the impact of lower production is not felt as dramatically as it might in an import area such as Chicago with exceptionally cold conditions where demand has spiked well above the normal level,” Piatek said. There is some good news for all consumers, regardless of location: The uptick in wholesale prices doesn’t translate directly into higher retail prices that utilities charge consumers. Changes to retail prices tend to lag, and utilities have to comply with state regulators, who might limit how much their rates can increase.